Everyone has been abuzz about the Starbucks Unicorn Frappuccino. Of course it’s a little scary to get drinks there when you are dairy allergic so…. here is what we did. 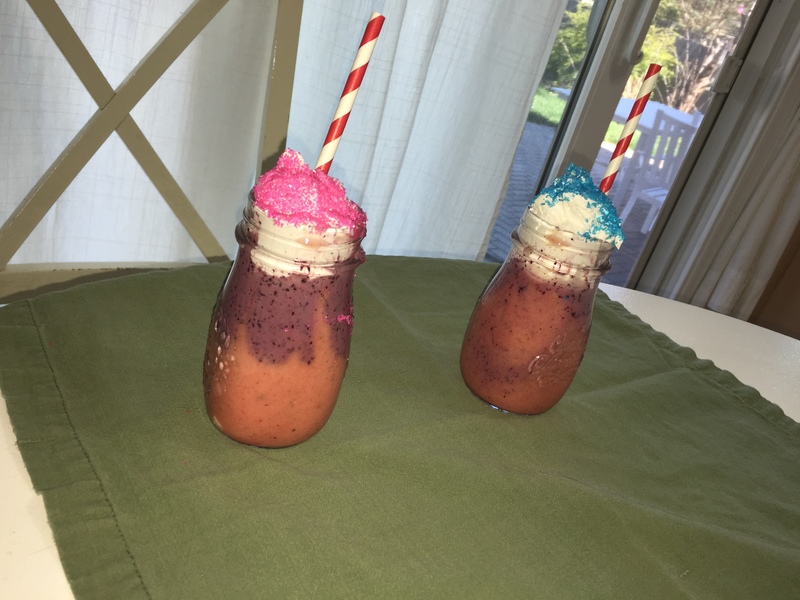 Fill glass half full of Pink then drizzle Blue down the sides of the glass. Add some more pink and then top with CocoWhip and sprinkles. Mayo – Why does it have paprika? Fun Popcorn for movie day!